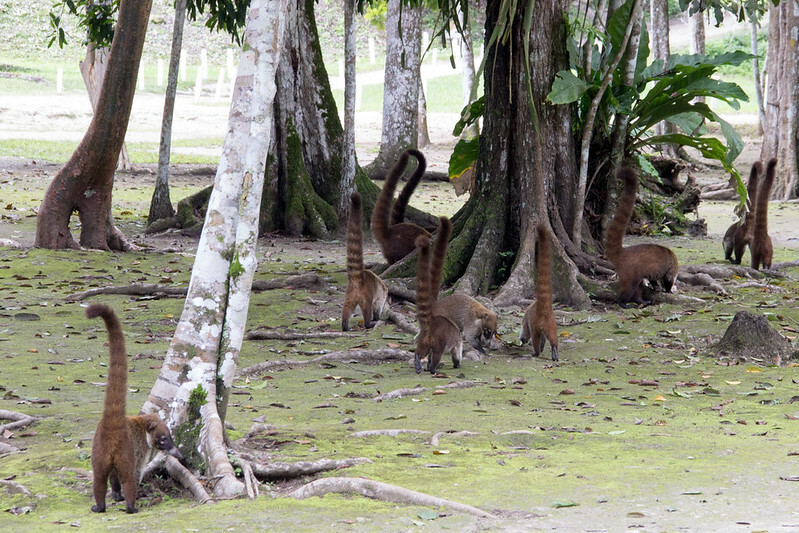 We had one goal in coming to Tikal: see some coatis. I know. It’s weird. I guess we were interested in the ruins as well. You can go here or here or here to find useful information on Tikal. 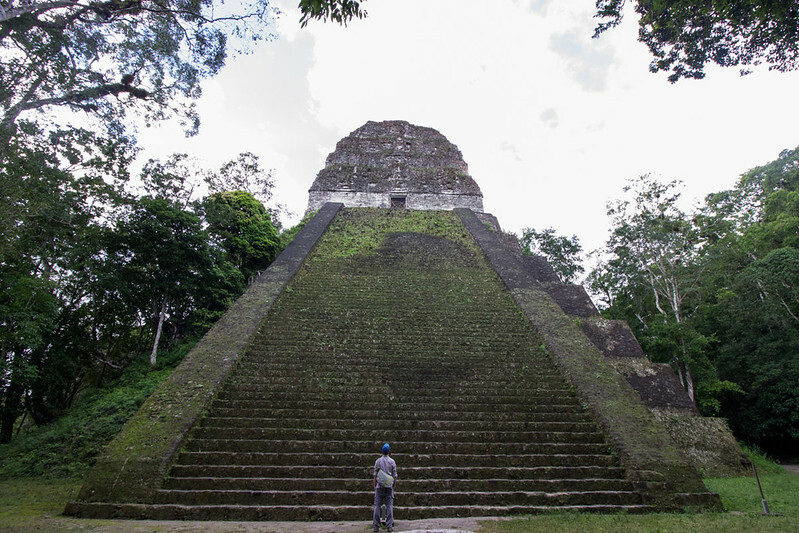 I just have these 3 useful tips to add for visiting Tikal. Get your transportation from Fernando Rodas. He is amazingly friendly and can tell you lots about the history of the region and has very reasonable rates. Get to the park by 6am. There will be very few people and it will not yet be unbearably hot. This is best done by staying in one of the lodges in the vicinity of the ruins. 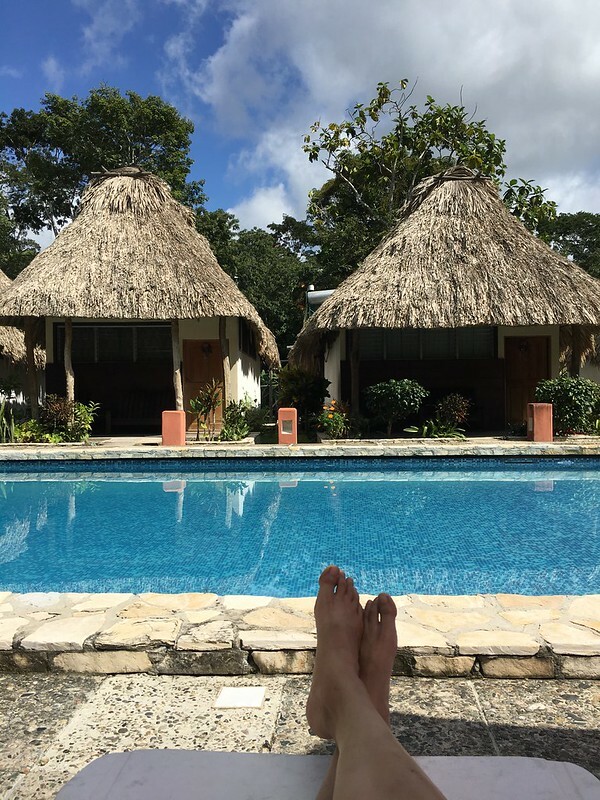 We liked Tikal Inn for the pool that you can lounge in during the extremely hot and humid late morning/early afternoon hours. If you are on a budget, there are also campgrounds near the park. You will need a flashlight to enter the park at this hour. Most of the time it is misty in Tikal so rushing to get to Temple 4 with all of the other tour groups will get you a view of fog rather than sunrise. Save it for a bit later and instead go to one of the side temples and have it all to yourself (might I suggest Temple 6 to see monkeys in the morning). Bring a raincoat. It rains all of the time. Tikal is in the rainforest. You should probably also wear mosquito repellent. Also, you will see coatis. Many of them!